The St. Petersburg City Council voted 5-3 to allow the Tampa Bay Rays to search through Pinellas and Hillsborough counties for a site for a possible Tropicana Field replacement. 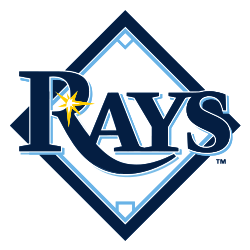 The major differences with previous versions are a joint interest-bearing account in which the Rays and city would share any development revenues from what is seen as a lucrative redevelopment opportunity at the Trop. If the Rays leave, they have to forfeit their share. If they stay, they get 50 percent of proceeds. Kriseman says this creates a financial incentive for the team to remain in St. Petersburg and, perhaps, use revenue generated by hotels, retail, condos and other amenities for its share of a stadium. A private developer who wanted to develop the whole site could also be required to kick in money for a stadium. The Rays would have three years to make a decision or forfeit the development money. Tampa and Hillsborough County officials have already set up a committee to identify potential ballpark sites, which could be surprisingly challenging. A downtown site near Amalie Arena once pegged as a ballpark site is now slated for other development, and other downtown sites also pose some huge issues. Still, this process will take some time: the Rays have a three-year window to search, and we may not have a new site or two or three until 2020. And who knows? The Rays front office may decide a St. Pete site works best.